The Dodgers won 86 games while finishing a disappointing second to the eventual World Champion Giants in the NL West, but that was still a four-win improvement over 2011, and given the massive payroll increase over the past few months, big things are expected from this team in 2013. The July trade deadline saw the club acquire SS/3B Hanley Ramirez and eventual closer Brandon League. August brought the additions of Adrian Gonzalez, Josh Beckett, the injured Carl Crawford (elbow) and utilityman Nick Punto. That wasn’t enough to put the club over the top, but the spending spree continued this winter in the forms of Zack Greinke, Hyun-Jin Ryu and J.P. Howell. Needless to say, anything short of a deep playoff run will be a massive disappointment for the new ownership and its reinvigorated fan base. Signed RHP Zack Greinke to a six-year, $147 million deal. After finishing 2012 with the Angels, Greinke simply gets to pack his bags and drive about a half hour up I-5 to Los Angeles. His 2009 Cy Young season is likely to remain by far a career year, as the 9.3 WAR Greinke recorded that year is the best season by a starting pitcher since Randy Johnson’s 9.9 mark in 2004. Since then, Greinke has accumulated 14.2 WAR, a mark that ranks seventh among all starting pitchers during that time, so he’s still a borderline No. 1-level starter. He still features excellent control, an improved groundball rate thanks to a cutter he introduced last year, and he’s fanned 200-plus each of the last two seasons. At this point in his career, Greinke would be the No. 1 starter on all but a handful of the other 29 big league teams. Signed LHP Hyun-Jin Ryu to a six-year, $36 million deal. The Dodgers have had success with Korean starters in Chan Ho Park and, less notably, Jae Seo. Whether he can reach his stated goals of an ERA in the 2.00s, double-digit wins and, eventually, the all-time record for wins by a Korean pitcher (124 by Park) remains to be seen, but at least he’s confident. Ryu’s build (think of David Wells) is a bit of a concern, so his conditioning will be something that the organization will need to stay on top of. For pure stuff, he certainly sounds like a solid No. 3 starter – low-90s fastball topping out at 94, four-pitch mix and it doesn’t hurt that he throws left-handed. It remains to be seen how his 10.3 K/9IP rate in Korea will translate at the big-league level, but an ERA just south of 4.00, 150-plus strikeouts and a WHIP in the 1.25 range? Certainly possible. Re-signed RHP Brandon League to a three-year, $22.5 million deal. League struck gold this winter to the tune of a $22.5 million contract. After losing his closing job in Seattle, League came to LA and finished with a 2.30 ERA in 27.1 innings. In his final 22.1 innings, League surrendered just one earned run despite walking 11 in that span. He also finished as the team’s closer ahead of Kenley Jansen, a role that League is apparently expected to maintain in 2013. Just be advised that it wouldn’t be a huge surprise to see him lose his job to Jansen at some point, making Jansen among the first non-closing relievers who should come off the board. Signed LHP J.P. Howell to a one-year $2.85 million deal. With Scott Elbert on the shelf yet again, the Dodgers moved quickly to fill the left-handed void in their bullpen by inking Howell. Howell was once again a steady asset in the Rays bullpen as a situational lefty and in the late innings. He bounced back from a tough 2011 and pitched 55 games, posting a 3.04 ERA. Being a full season removed from major shoulder surgery, Howell cut his walk rate, going from 5.3 to 3.9 BB/9. Although he is a control pitcher, a good sign to his shoulder recovery is that his average fastball velocity was near the highest of his career. After a successful season, Howell will fill a middle-relief role for the Dodgers. Acquired utilityman Skip Schumaker from the Cardinals in exchange for a minor-league prospect. Schumaker’s fourth season as a second baseman was a lot like the others – no power, no speed and a won’t-hurt-you batting average. That might be worth a buck or two at second base, but his playing time could be limited even after the Dodgers acquired him in December. Look for Schumaker to fill more of a utility role with his new club, rather than being locked in as a semi-regular at the keystone. He could see time in left field in April should Carl Crawford’s recovery suffer a setback, and given Mark Ellis’ age, some second base time may be in order. A few familiar names among the team’s minor league signings this winter. Flores batted just .213 in nearly 300 plate appearances for the Nationals last year, but he could conceivably push Tim Federowicz to back up A.J. Ellis. More likely, he’ll serve as organizational depth and notch more Triple-A at-bats than big league ones. McPherson hit 12 homers in 229 Triple-A at-bats, but the fact that the White Sox third basemen last year batted a collective .201/.286/.314 and McPherson still didn’t get promoted speaks volumes. Moylan probably stands the best chance at contributing at the big league level, but he hasn’t been healthy since 2010, so we’ll see. We’ll talk more Crawford later in this piece, but while the club expects him to be ready for Opening Day, it won’t be safe to count on that until we see how he’s progressing this spring. If Crawford opens the season on the disabled list, look for some uninspiring combination of Jerry Hairston and Skip Schumaker in left field. Hairston and/or Alex Castellanos could see at-bats versus southpaws should Ethier fail to prove that he’s more than an $85 million platoon player at this point in his career. As for the rest of the lineup, it makes sense to flip-flop the two Ellises given A.J.’s OBP ability, but we’ll see whether Don Mattingly agrees. Overall, this appears to be a very formidable lineup, at least on paper. The first four spots are set in stone, with the 1-2 punch of Kershaw/Greinke rivaling any in the game. The only question here is the five-spot where Billingsley is attempting to avoid potential season-ending right elbow surgery. If Billingsley proves 100 percent healthy this spring, the spot is likely his. In that scenario, Ted Lilly, Chris Capuano and Aaron Harang are all potential trade chips. League finished last season as the team’s closer ahead of Kenley Jansen and should begin this season in that role. League, however, is far from a sure thing – after all, he lost the closer job in Seattle before coming to the Dodgers. Therefore, Jansen might be the top closer-in-waiting on most cheatsheets. Will Adrian Gonzalez’s power return this year? Gonzalez once racked up four consecutive 30-plus HR seasons despite playing half his games in home run-suppressing Petco Park. Since then, he’s seen his totals dip to 27 with the Red Sox in 2011 and just 18 last year between Boston and LA, including just three long balls in 145 at-bats for the Dodgers. Project that latter number over his usual 600 or so at-bats and you get a corner infielder with a James Loney-like 12 home runs. We suspect he’ll be better than that, as his strikeout and groundball rates have stayed relatively constant. Just 9.6 percent of Gonzalez’s fly balls went over the fences last year versus a career rate of 16 percent, so even if that rate increases to just 12 percent, that would equate to 23 home runs given no change in his groundball/flyball rates. It’s hard to see him returning to the days of 35-40 home runs, but 25 seems like a good target. Can Matt Kemp stay healthy and return to his 2011 MVP level of performance? Fresh off a season in which he missed 40/40 by a single home run while batting .324 and scoring 115 runs, Kemp went No. 1 overall in many 2012 drafts. He then made those owners look smart by hitting .417 with 12 homers in April, but then hamstring and shoulder injuries took their toll and Kemp finished with just 23 homers, nine steals and 403 at-bats. He also hit just .245 in September without a stolen base before October shoulder surgery revealed that he had been playing with a serious shoulder injury. Kemp is expected to be fully healthy come Opening Day, and although some may not want to risk a potential shoulder-related power decline, his skill-set and age (28) deem Kemp a worthy top-five overall fantasy pick. This is easily the best lineup he’s had around him in his career, and given that he had four consecutive 600-plus at-bat seasons prior to 2012, it’s a stretch to deem him suddenly injury-prone. Is Hanley Ramirez still an elite fantasy shortstop? From 2007-2010, Ramirez batted .319 while averaging 27 home runs, 36 stolen bases and 111 runs scored, which, given he played a premium position, put him in the discussion for No. 1 overall fantasy pick year in and year out. The last two years? A .252 BA and averages of 17 homers, 20 steals and 67 runs. Still worthy of a roster spot of course, but he’s more like a top-40 pick now given the recent decline. Ramirez turned 29 in December, so he should still be in the prime of his career, but what gave him elite status was his legs, and at this point, there’s nothing to indicate that he’s anything more than a 20-25 stolen-base man these days. His contact rate is trending down and he’s walking less, so a big batting average recovery is unlikely. Still, it’s hard to see more than three or four shortstops coming off the board before him given his 20/20 ability and potential for more. He’s just not elite anymore. When will we see Carl Crawford in the starting lineup, and can he still be an elite leadoff man? All signs point to Crawford being ready by Opening Day, as he has resumed baseball activities, including recently a throwing program. We might not see him in early spring training games, at least in the field, but as long as there are no setbacks, expect him to be the team’s leadoff man come game No. 1 on April 1 against the Giants. Crawford’s throwing will be behind his hitting initially, but that shouldn’t impact his goal of returning to being the elite offensive player that netted a $142 million contract two years ago. Josh Beckett will slot fourth in a rotation that includes a top two or three pitcher in the game, a guy with a $147 million contract and a high-priced Korean import, alleviating any of the pressure he faced in his other stops around the bigs. Beckett’s 2012 4.65 ERA is obviously disappointing, but moving from the AL East to the NL West doesn’t hurt a starting pitcher’s stock one bit. In seven starts for the Dodgers, he compiled a 2.93 ERA while his strikeout rate rose from 6.6 K/9 with the Red Sox to a mark more in line with his career average – 8.0. The velocity on Beckett’s fastball dipped for the fourth straight year in 2012, and it was a steep drop – 91.5 mph vs. 93.1 in 2011. Still, being in the division he’s in should allow him to retain a fair amount of fantasy value in 2013, even if he’s no longer ace material. Yasiel Puig, OF – The Dodgers swooped in with $42 million just before Major League Baseball put a cap on international spending and grabbed Puig, the latest Cuban buzz-worthy young outfielder. He appeared in 23 games in the Dodgers minor league system and delivered a 1.076 OPS with five homers and eight steals in just 82 at-bats. With the team’s projected outfield signed through at least 2017, the Dodgers will need to make a trade (Andre Ethier?) to free up a spot for Puig, but that can be decided later. For 2013, expect Puig to open in Double-A. He could debut later this season if his performance warrants a promotion. Zach Lee, RHP – At first glance, Lee’s 4.39 ERA across two minor league levels (High-A and Double-A) doesn’t seem all that impressive. The fact he did it at age 20 with solid ratios (7.7 K/9, 2.4 BB/9) makes it look much better. Lee was the team’s top pick in the 2010 draft, and while he is probably more of a mid-rotation starter than future Cy Young candidate, he can still add plenty of value. He’ll likely open 2013 in Double-A, and depending on performance and club need, a debut this season is certainly possible. Chris Reed, LHP – Reed was the team’s top pick in the 2011 draft, and his first full season featured a lot of ups and downs. The Dodgers took it easy with his left arm, allowing him to average right around four innings per start. He finished with a 3.97 ERA, 8.6 K/9 and 4.4 BB/9. Reed was a reliever in college, and that could ultimately be his role if he can’t improve his control and get deeper into games. Reed will return to Double-A to open 2013 and could contribute to the big club late in the year if things go well. Corey Seager, 3B – The younger brother of Seattle’s Kyle Seager, Corey looks to have the higher ceiling of the two after being drafted out of high school as the 18th overall pick in 2012. Seager got his pro career off to a great start, batting .309/.383/.520 with eight home runs and eight stolen bases in 175 at-bats in the rookie-level Pioneer League. He’s likely a third baseman long-term, and so far it appears he has the bat to handle the position. Seager will make the jump to Low-A this year and is probably three years from the big leagues. Joc Pederson, OF – Pederson was named the organization’s 2012 minor league player of the year, as he broke out with a .313/.396/.516 performance for High-A Rancho Cucamonga. Pederson homered 18 times and stole 26 bases all while playing the entire year at age 20. The true test will come this year as Pederson makes the jump out of a hitter-friendly environment to Double-A where the balls won’t fly out of the yard at the same rate and the pitching will be far more advanced. How he handles himself at the plate in 2013 will go a long way toward determining how we think about him long term, but 2012 was a step in the right direction. 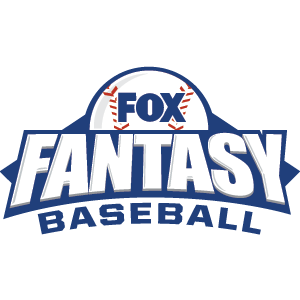 Regan is a five-time Fantasy Sports Writers Association award winner.